Home » Bollywood News » Ranbir Kapoor - Katrina Kaif's Jagga Jasoos to release in 2017? Ranbir Kapoor - Katrina Kaif's Jagga Jasoos to release in 2017? Ranbir Kapoor and Katrina Kaif wrapped up the second last shooting schedule of the much-anticipated film, Jagga Jasoos, in Mumbai. The team is now expected to fly to Morocco for the final schedule, expected to wrap up by June-end. In the film, Ranbir will be seen as a detective who communicates via songs whereas Katrina will essay the character of Ranbir's love interest. The film was always touted as a musical, however now it is almost certain that there will be 18 songs in the music album and the same will even form a part of the film. After wrapping up the shooting, director Anurag Basu will work on the music and background score with Pritam for a month or two. According to Box Office India, "Jagga Jasoos is a musical film and has 18 songs. And every song is included in the film, so it's going to take time. Also, Anurag takes a personal interest when it comes to music and looks into details such as the tunes and lyrics and which singers to get on board. His partnership with Pritam has always worked, so expect a fantastic musical film." 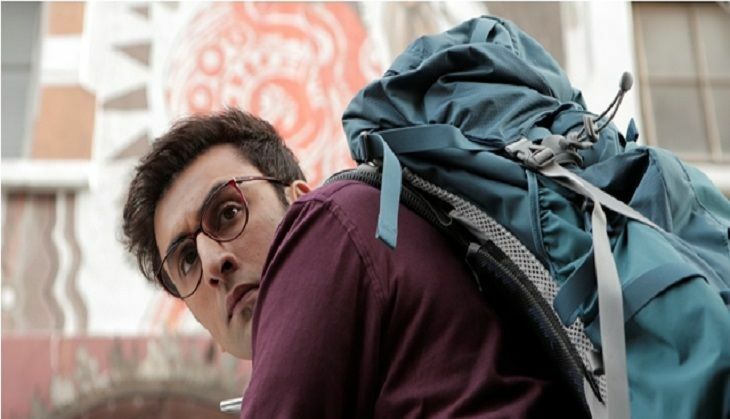 A few months ago, Pritam confessed that Jagga Jasoos is his most difficult film till date and it is challenging to compose so many songs for a film. Directed by Anurag Basu, the film went on floors in 2013 and has been in the news ever since for constant delay in the shooting. With almost all major release dates being booked in 2016, looks like the film will only get a clean release window in 2017.